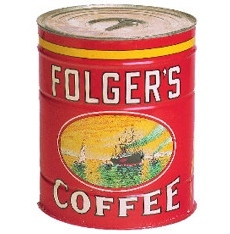 On Aug. 25 the Can Manufacturers Institute (CMI) is celebrating the 200th anniversary of the invention of the tin can. In the late 1700s France’s Nicolas Appert, a chef and confectionery maker, began experimenting with ways to preserve food, primarily with sealed glass jars boiled in water. In 1810 Appert won 12,000 francs in a contest to find ways to preserve food for Napoleon’s army. Based on this work, that same year inventor Peter Durand was granted a patent in England for his idea to preserve food in tin-plated iron cans. Durand sold his patent to Englishmen Bryan Donkin and John Hall, and by 1813 they were running the first commercial canning factory, supplying canned goods to the British army. 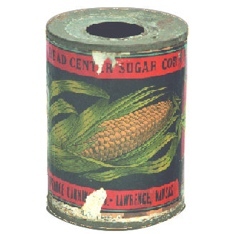 These original cans were “hole and cap” style featuring a soldered cylinder (at first sealed with lead), and at the time the top canning craftsmen could produce approximately 60 cans per day. 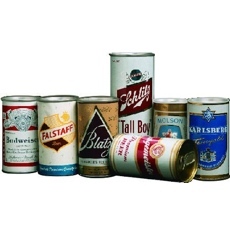 It wasn’t until 1849 that the first die device for making cans in a single operation was designed, boosting production to up to 60 cans per hour. According to the CMI, there are now more than 600 sizes and styles of cans on the market, with new innovations and variations constantly being introduced. Manufacturing of aluminium and steel cans is now a US$14.9 billion business, with a large offshoot business of recycling. Today, it notes, more than 137,200 cans are recycled every minute in the U.S.
“From the single-serving cans of soup mothers across America use to feed their children to the industrial-size cans of vegetables cooks use to feed our troops at military bases around the world, the can’s popularity will continue to endure as cans are the most reliable, recyclable and versatile package,” says CMI president Robert Budway.